I’ve been so busy trying to get our house ready to put up for sale (we get the photos taken today and list it this week), that I’ve neglected to remind you of our new study that is going to start tomorrow, July1! This month we’re going to do something a little different. Instead of spending the whole month of July studying one chapter like we normally do (and like we will do again in November), we’re going to spend all month doing some topical study. 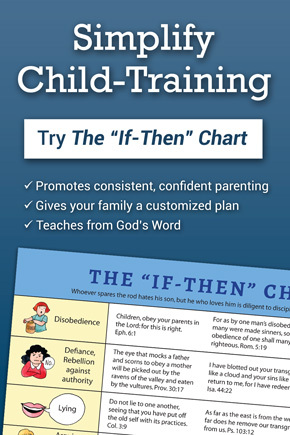 We’ll use an online concordance and topical Bible to help us find out what God says about some of the typical challenges we run into day after day with our children — things like disobedience, bickering, unkind speech, tattling, and anger. I’m excited because there is so much to learn from God’s Word! We don’t need to turn to man’s wisdom when we don’t know how to handle a problem with our children. God has given us His Word to guide us! Along with the instructions for your own study, each lesson will also include an activity to do with your children, so they can learn right along with you! If you don’t feel like you can do these short studies with your children right now, I would encourage you to come back to the children’s lessons later and do them. 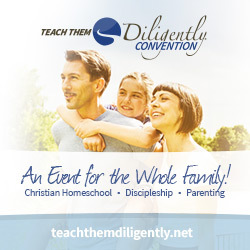 They will help you be proactive in the instruction of your children. Instead of waiting until you’re in the midst of a sin issue with your children, you can study what God says about it ahead of time. You can memorize verses together and be armed and ready when temptations arise. 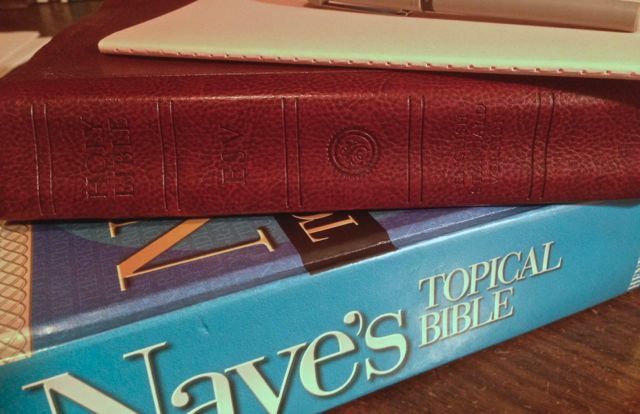 You don’t need anything fancy — just your Bible, a computer or tablet (or even a smart phone), a pen, some colored pencils, and a notebook of some sort (I love Moleskines for Bible study notes because they’re just the right size to keep with your Bible and they come in so many pretty colors.) Sometimes picking up a new notebook or some special pens can help us sit down and actually study each day, so maybe this is one of those times to splurge just a bit if you need the extra motivation. If you’ve never done a Busy Mamas Bible Study with us before, I recommend reading this post from a previous study. It will help you prepare. I also heartily recommend joining the Busy Mamas Bible Study Facebook group so that your can interact with other ladies who are doing the study along with you. I think it will be especially helpful to be part of this group for this particular study, as we share challenges and answers from God’s Word. So gather your materials! Start praying for God to teach you new things from His Word! Invite some friends to join us! (Make sure they subscribe to this blog so that they get each day’s lesson delivered to their inbox.) I’ll “see” you tomorrow! Hi! I’m new to your blog and would like to know what topical bible you use. Thanks in advance! 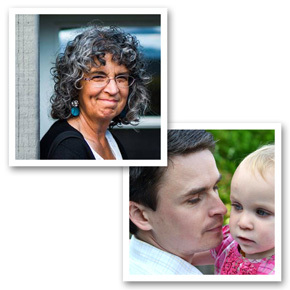 I am a grandmother that lives with my youngest son and his family. I often watch over the children so Mommy and Daddy can go on dates, go shopping, etc., or just to give me alone time with the grandchildren. This sounds like it would be a good study for me also. This sounds like just what I need at the perfect time while we’re on break from home schooling and I have a little more time for study. Thank you! I want in! Summer time sure increases the bickering, and bad behaviors. Thank you! I would love to start this tomorrow! How do I subscribe? What a blessing! I’m looking forward to beginning tomorrow. To subscribe, simply type your email address into the white box at the top of the sidebar on the right. Then click the blue “subscribe” button, and you’re set to go! Tomorrow’s lesson will be waiting in your inbox. If it’s not, let us know. Sometimes there are a few bugs to work out the first day or two, due to different people’s providers. If you received this post via email, you’re already subscribed. If you got here through a link, simply go to the top of this post, look in the right side bar just down a bit from the headline. You will see a blue box with the words “Get blog updates by email”. Type your email address in the white box below that, then click the blue “subscribe” button. You’re all set. To join the Facebook group, click the link in the post above, and click the “join” (or “follow”? I can’t see it on my page because I’m already a member 🙂 ). Hi Pam, I tried to join the group through the link but says it is closed :(, could you help me, I want to join and also subscribe to the 30 days study but haven been able through my smart phone. Thanks! Please, I am so excited for this. It’s going to be my first Bible study but I am interested! I’m definitely interested in this study. Count me in. Would LOVE to join in, but can’t figure out how to subscribe from my phone. For those trying to use their phones this is what I did. Click on the 3 horizontal bars on the right of Doorpost. With the pull down menu click get posts by email, then you can enter email and subscribe. I would like to participate in this study! For those trying to use their phones this is what I did. Click on the 3 horizontal bars on the left of Doorpost. With the pull down menu click get posts by email, then you can enter email and subscribe. I’d like to join! Do I simply subscribe to this blog? I would like to subscribe but can’t do it from my iPad and my laptop is down. Can you please add me? Thank you! Would love to join but group states is closed:(. Group line states is close..